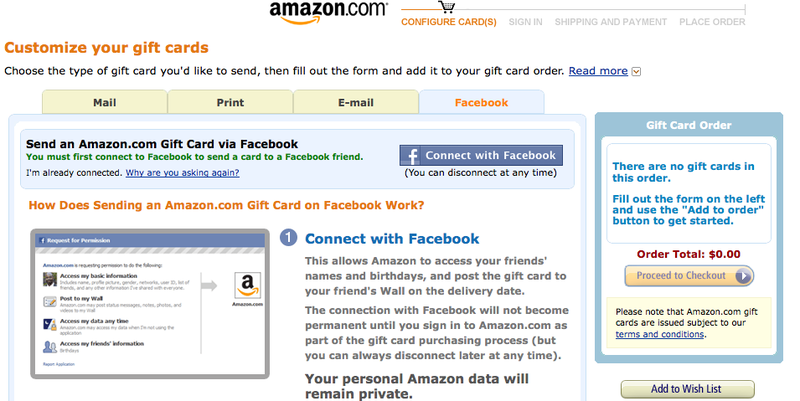 You can now give a Amazon gift card to your friends on Facebook, you can even post it right on their wall for everyone to see. Amazon gift cards given on Facebook can have any denomination from $5 to $5,000. One of the best features of Amazon’s Facebook card is the ability to order cards up to one year in advance, so if there is someones birthday or an anniversary you also forget to give a gift on you can set up an automatic delivery of an Amazon gift card. Of course if you buy gifts in advance you should be conscious that social network’s popularity could wane, imagine if you set up a Amazon gift card for automatic delivery on MySpace a year ago? Likely the user you sent the gift card to would no longer be registered on the site. While Facebook is unlikely to face a rapid decline in popularity similar to MySpace its important to keep this in mind, no website lasts forever and people could leave the social network at any time. 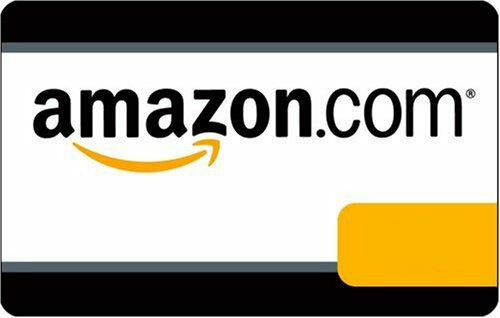 To promote the new Amazon gift cards on Facebook the first 10,000 users who send a Amzone gift card to $5 Facebook friends will receive a $5 credit towards MP3 downloads in the Amazon music store.